One year ago I pressed the publish button for the first time and gave this blog a life. It felt surreal, strange and it was totally out of character, for someone who always has to have a plan, and a back up plan and is constantly two steps ahead. So, you can imagine how confusing it was not to have a clue where I was going or what I wanted it to do with it and no wonder that it took a lot of identity searching, blog research, and more photography related nightmares that I can count to finally feel settled and at home (ishhh). Do you remember the first comment on your blog? For me, it was awhile before I even realised that the few "visits" that my traffic chart was showing was actually me "admiring" my own work, and when that first word -Yummy- appeared in the comment box, I wanted to go to Bulgaria and thank Yoli in person. She is not visiting, (at least not commenting) any more, but to the girls who helped me to keep going and always put the smile back on my face during the rainy days Lana, Milkica and Petra I own a special thank you. Few weeks back, I wrote that I recently made a friendship, first on-line, then in person, with a fellow blogger and that she agreed to be a guest on these pages soon, so you could meet this beautifully humble and creative person through her work. Please meet Lana who made us a proper, English tea party to celebrate! Put the plain flour into a food processor and add the butter and salt. Whiz until the mixture looks like fine breadcrumbs. Add a tablespoon of water and whiz again until it just starts to come together. If it looks a bit dry, drizzle in a teaspoon or two more of water. Tip out onto a board, bring together with your hands and knead lightly to bring the dough together. Wrap in a cling-film and chill for 15 minutes. Preheat the oven to 200 C. Remove the pastry from the fridge, unwrap and roll it out on a lightly floured board until it‘ s about 2 mm thick. Use to line 6 tins, reserving the remainder (wrap and chill this bit as you‘ll need it later for the lattice topping). Prick the base a couple of times with the fork and bake in the oven 10-15 minutes, until the pastry looks dry. 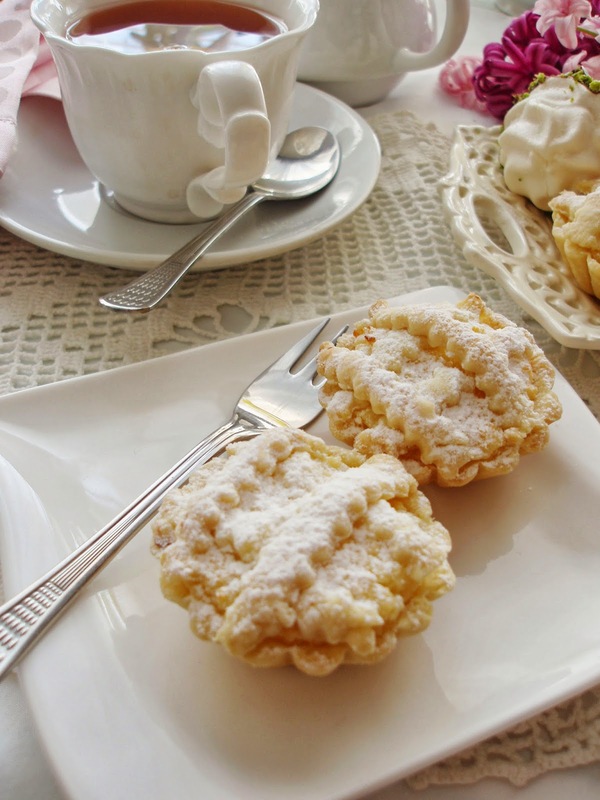 Make the filling ( I used the Sfogliatelle one) and spoon into the pastry cases. Roll out the remaining pastry on a lightly floured board and cut it into 5 mm strips, long enough to fit across the tart tins. Place on top of the filled tarts and pinch them into the pastry edge. Brush the strips with water and sprinkle with sugar. Bake in the oven for 20 minutes until golden. Serve warm or cold. 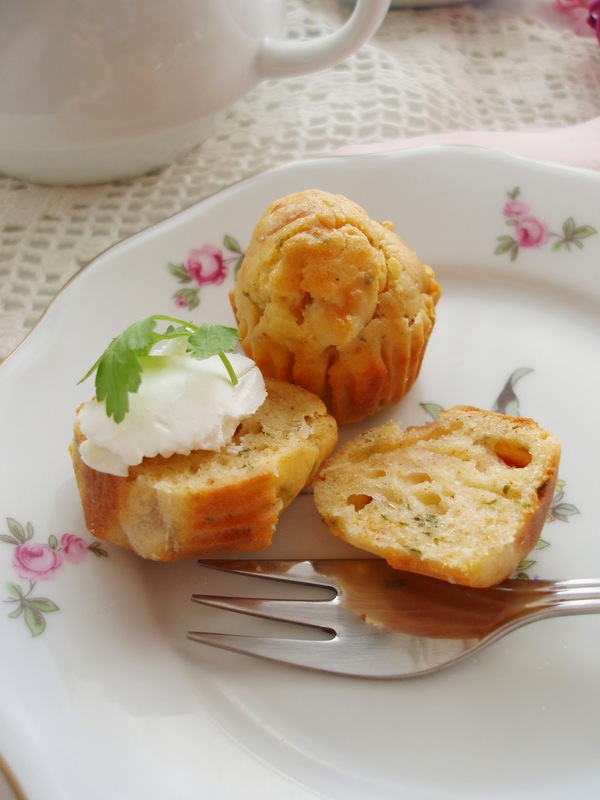 Preheat the oven to 200 C. Grease the mini –muffin tin generously with butter. Sift the flour into a medium bowl. Add the salt and pepper, ham, cheese and parsley. Toss everything together. Mix the cooled, melted butter, yoghurt, egg and milk together in a bowl. Mix dry and wet mixtures together. Spoon the mixture equally among the grease tin holes and bake in the oven for 15-20 minutes. Leave to cool for a minute or two, then use a spatula to gently prise them out of the tin, and leave to cool completely on a wire rack. Preheat the oven to 130 C. Line two baking sheets with baking parchment . Whisk the egg white until soft peaks form. Add the sugar, a spoonful at a time, whisking well between each addition, and continuing to whisk until stiff, smooth and glossy. 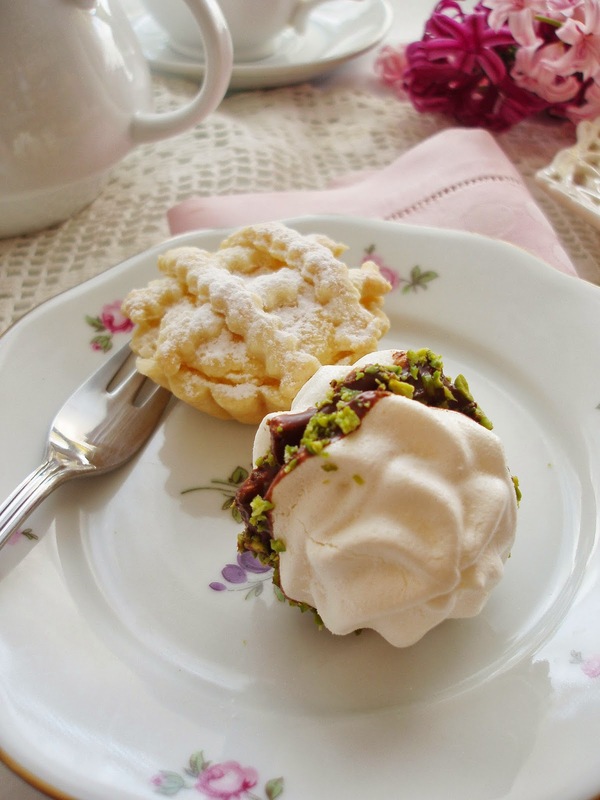 Spoon the mixture into a pipping bag and pipe meringue kisses onto the baking parchment. 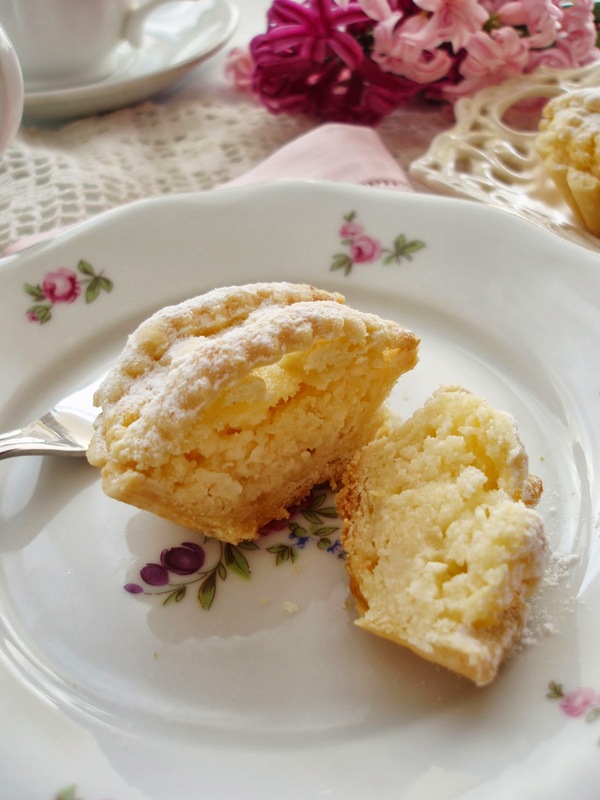 Bake the meringues in the oven for 1 hour or until they come away from the parchment. Melt the chocolate over very low heat just until melted. 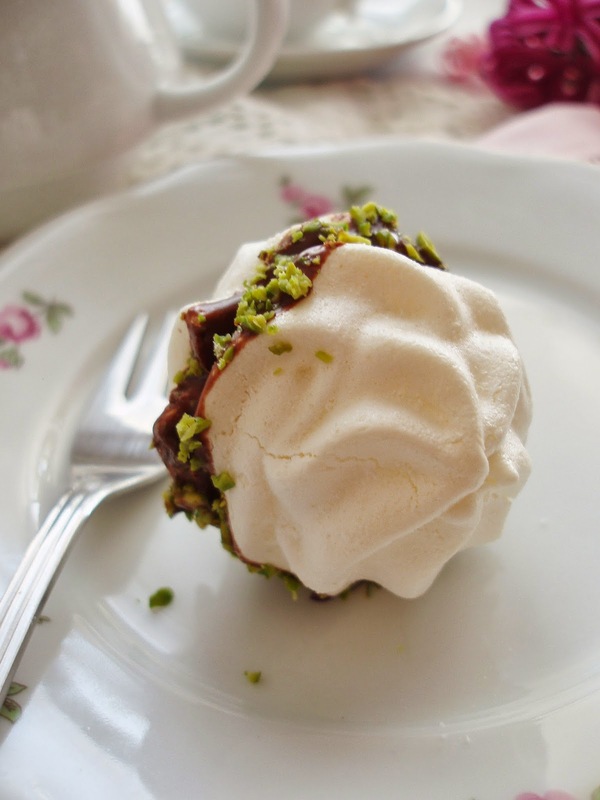 Dip the bottoms of the meringue kisses into the chocolate, then roll chocolaty bottom into chopped pistachios.